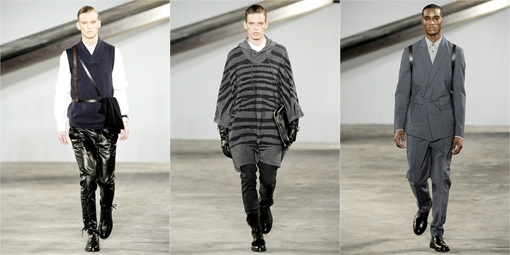 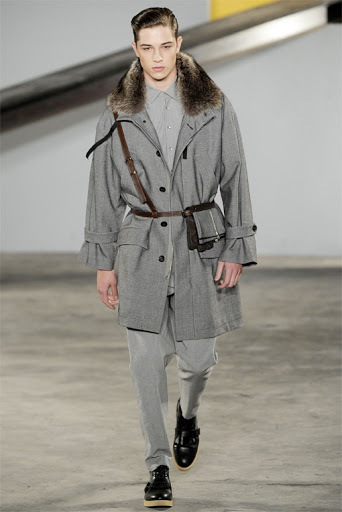 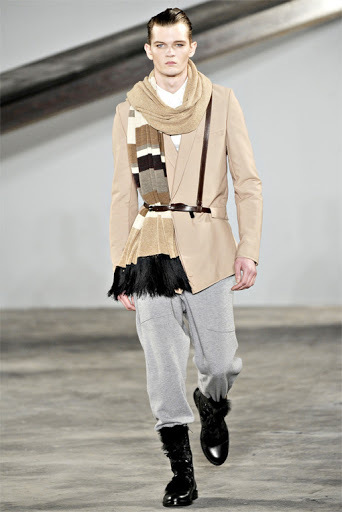 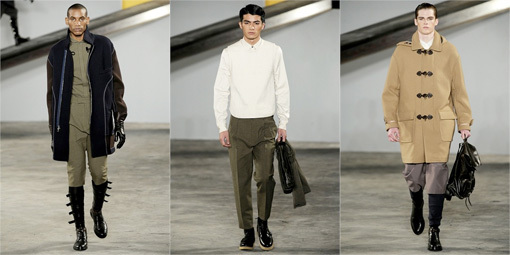 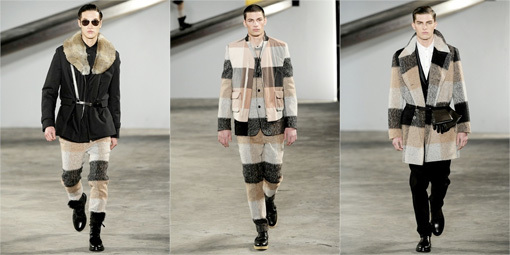 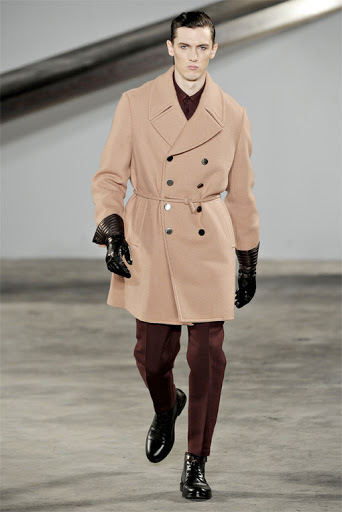 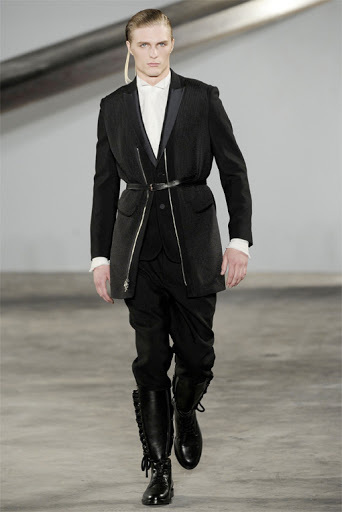 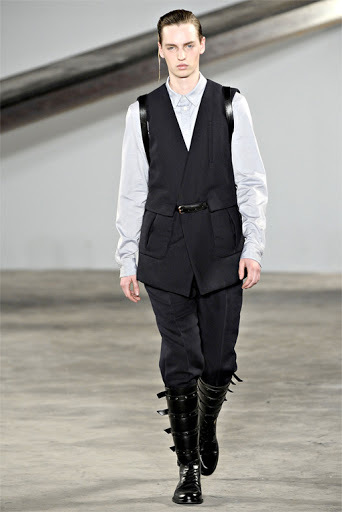 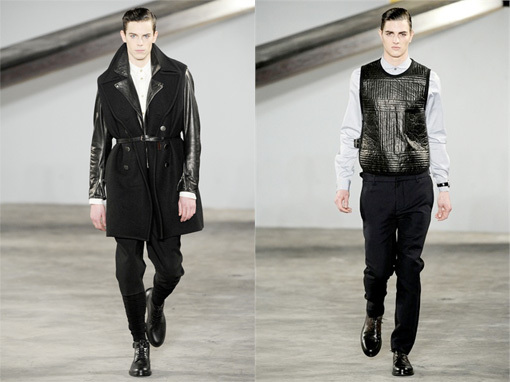 Intrigued by the military detailing, 3.1 Phillip Lim's menswear collection for fall/winter 2010 is spot-on. 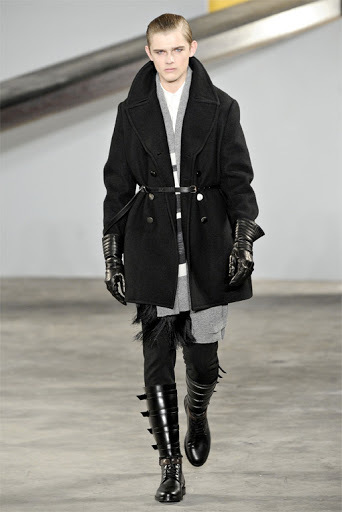 The exaggerated gloves and boots echo comfort and warmth. 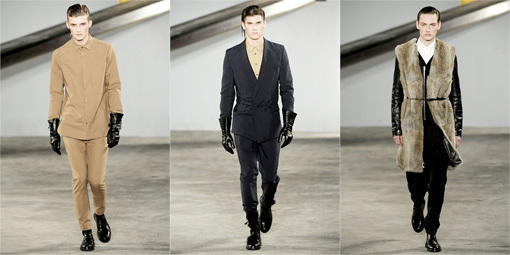 Elegant yet masculine, 3.1 Phillip Lim offers the perfect ensemble for fall/winter 2010.